Celebrating an amazing year, overlooking the Great Salt Lake and the Wasatch Mountains. 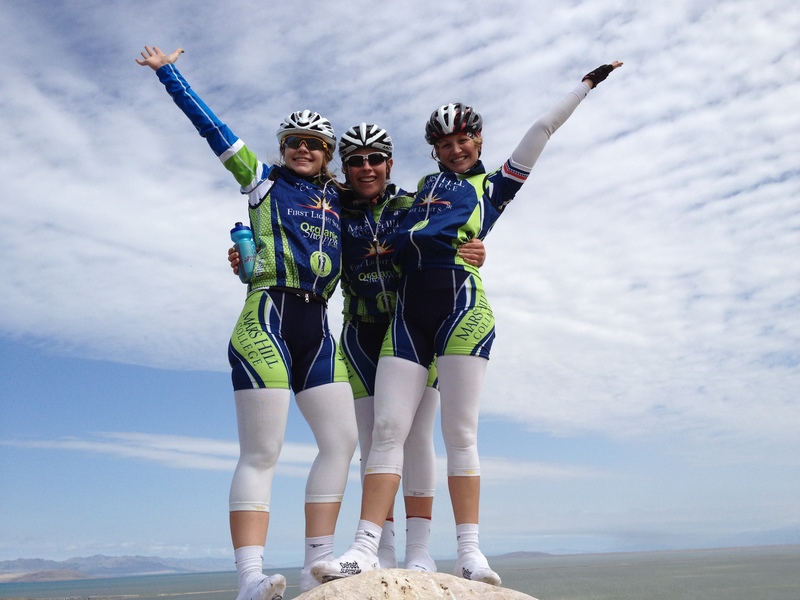 What an amazing year for Mars Hill Cycling. In 2011-2012, we competed in all four national championships, winning two national titles and landing on national championship podiums 15 times! 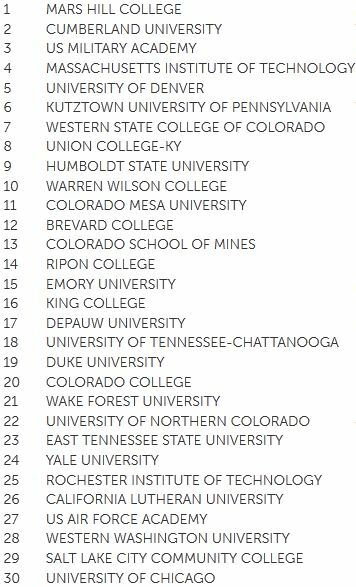 We end the year as the #1 ranked D2 team in the nation for the second year in a row. It hasn’t been easy, though: We’ve faced bumps in the road, crashes, and disappointments, but our experiences as a team along the way prove we are stronger together than we could ever be alone. We are humbled by the support we’ve received from all quarters: the college, official sponsors, quiet donors, and an awesome local cycling community. We thank all of you for making these incredible experiences possible. 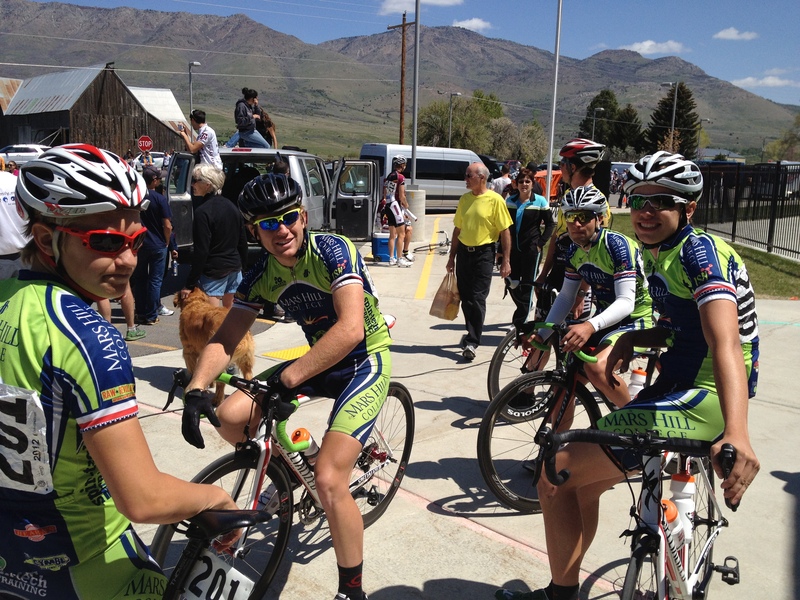 Here’s some insight on our recent trip to road nationals in Ogden. We went there to give our best possible effort and defend our team omnium title from last year. Although we didn’t repeat, this nationals was without a doubt our best team performance to date. The effort, heart, and dedication the entire team put into preparations and performances at Ogden was spectacular. 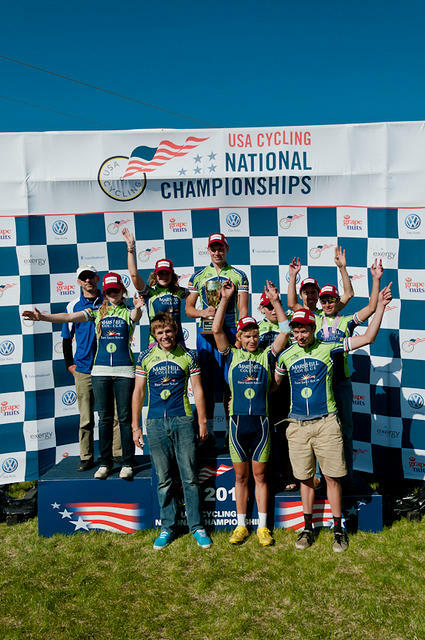 They rode to 7 national championship podiums over the weekend. When you’re on 7 of 9 possible podiums, you know you’re doing something right! 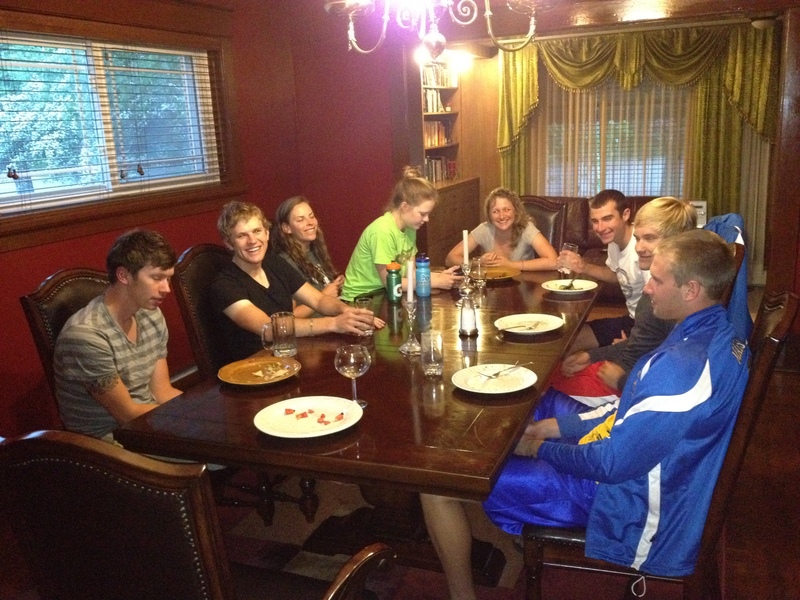 Breaking bread together at the Browning Mansion. We arrived to an ultra clean and friendly Salt Lake City on Wednesday morning, ate lunch at a vegan cafe, and then headed up to Ogden to check into the Browning Mansion where we held down the fort. The Browning Mansion was built by the son of the famous gun maker over 100 years ago and has been completely restored by its current owners. At over 6,000 square feet, there was plenty of room for everyone and most had their own beds and rooms. The restoration included details from floor to ceiling that we’re artistically impressive, a modern chef’s kitchen, a film screening room with an amazing collection of DVD’s, a fitness room, and an amazing backyard that included a state of the art propane grill, hot tub, and outdoor heater. We thought we’d already won something before we even lined up for a race. The house was that amazing. The women rocked the TTT to 2nd place on Zipp Firecrest wheels. 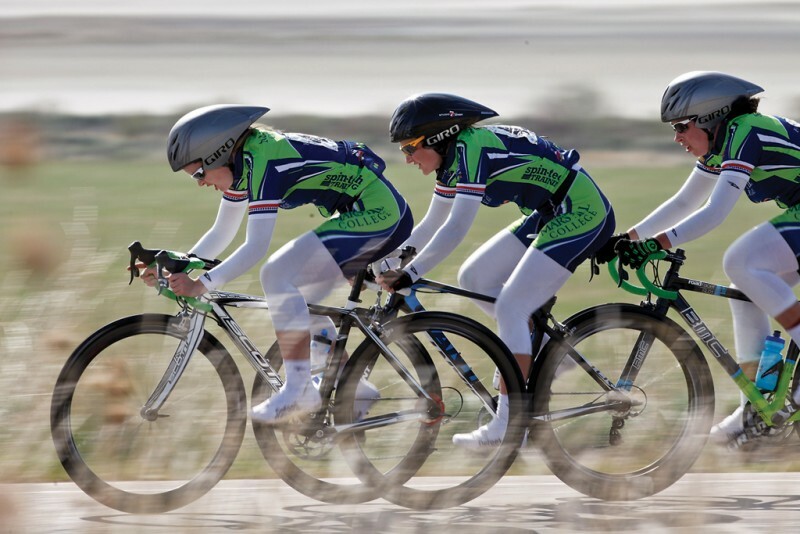 On to the races: the first was the TTT on Antelope Island in the middle of the Great Salt Lake. While we didn’t see any antelope, we saw a big herd of bison during warmup the day before and could only hope that they would stay off the road during the next day’s racing. That was not the case during warmup, however, when an errant bison or two occasionally wandered onto the course. On race day, the bison kept their distance, and the women performed to expectation, securing the silver medal with only three women. The men put in a solid effort and claimed a strong 3rd place. Mariske Strauss was in the mix from the first to the last corner in the criterium. 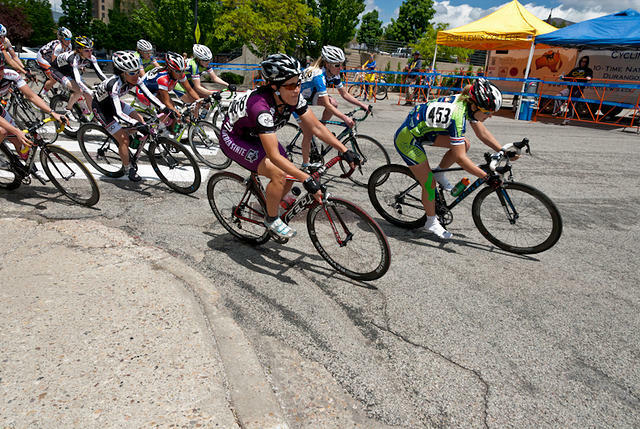 Heading into the next day’s criterium, we had some work to do to overcome overnight omnium leader MIT. In the women’s race, Klara Rossouw was the victim of a hard crash that required precautionary measures, including a neck brace, back board, and a ride in the ambulance. After examinations and a few x-rays, she was released with no serious injuries but some substantial road rash and contusions. While this was all happening on the side of the course’s long start/finish straightaway, Mariske Strauss was attacking (with sideward looks of concern as she passed Klara prone in the gutter each lap) with two from MIT and Steph Cucaz from King College. The MIT women attacked the breakaway shortly thereafter and left Strauss in no woman’s land while Cucaz drifted back to the field. While she would never regain the leaders, Strauss held onto a 10-15 second lead over the chasing field for the final 15 laps of the race, only to be caught in the last 50 meters to end up 9th. So close! Steph Bunnet ended up 10th after patrolling the front the entire race to assist Mariske’s solo effort. Sebastian Scherf gets called to the criterium line as the SECCC Champion. He’d represent that title well by taking 2nd and the silver medal. In the men’s criterium, it was also fast and furious from the start. Moving up through the field on this eight corner course was very difficult. Eventually five riders created a gap with about 30min left to go in the 75min race, including Mars Hill’s Sebastian Scherf, Cumberland’s Ryan Sullivan, Colorado Mesa’s Patric Rostel, a rider from Brevard, and one from the US Military Academy. The major teams were represented so this looked good. A few laps later, Brevard and USMA were dropped, leaving three strong men to battle it out for the win. Scherf had won every points prime he had contested, so it looked like it was his race to lose. But when Rostel attacked from the front just after Scherf’s pull at one lap to go, he opened up a gap and maintained it to the finish. Scherf edged Sullivan at the line just in front of a hard charging field. Scherf’s points for 2nd place combined with his prime points put him in first place in the individual omnium. In addition, the team was now within striking distance of overcoming MIT for the team omnium, trailing them 320-312 in points. With the next day’s road race our best event on paper, we were confident that we could pull off the repeat. The women getting ready to do work before the road race. And work they did. The women’s RR started first. Our goal was to place second in team points to MIT. Obviously, we were going to try to beat them, but we needed to be honest about both their overall strength and having more riders to score points. Plus, Rossouw was hurting big time from her crash in the criterium, so the realistic goal was to go for the individual win with Strauss and collect enough points to earn second place team points and put the men’s team in position to beat the MIT men by a few spots in the RR. The first part of the plan worked perfectly. Strauss rode to a fine second place, and Steph Bunnett rode with fervor up the 6 mile climb and then beat her small group for a great 8th place. Rossouw battled in pain the entire day and was able to pull off an impressive 17th despite her war wounds. The men looking confident and relaxed before the road race. The calm before the storm. The men were excited for the RR and the challenge ahead. We had Scherf leading the individual omnium, so his job was to cover those riders near him to defend that lead and win the individual omnium. Corey Davis and Chad Capobianco were our designated climbers and protected until the final climb. Based on their power/weight, we figured they had equal chances of landing on the podium with the other claiming a likely top ten. Maitland Jones, Michael Robinson, and Tim Jenkinson were our designated workers, ensuring that our top guys could conserve energy to unleash it all on the final climb. In order to win the team omnium, we would need to beat MIT by at least two places in the RR’s team points. We felt confident in our ability to pull it off. We had ace climbers who train in the mountains and were hungry for the race’s final climb. While MIT has strong riders and a wind tunnel on campus, we understood that power/weight would be a much larger determiner than aerodynamics in the road race’s final 6-mile climb. While we understood we needed to beat MIT, our focus had to be on doing our best race as a team, and then let the cards fall where they may. 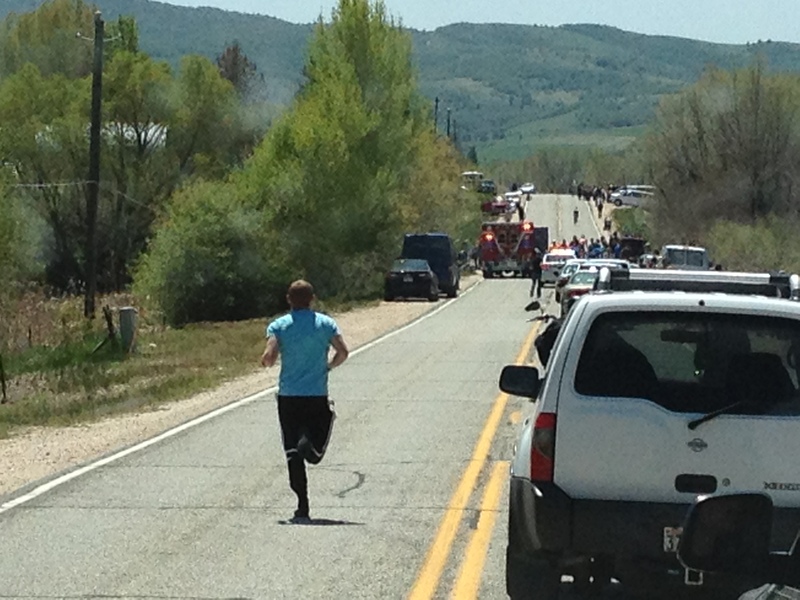 View of the carnage in the road race’s opening miles. Not good. It was an excellent plan but certainly didn’t account for a major pileup in the first three miles of the race. After a 1k neutral roll-out, the attacks started going left and right at speeds of 30-40mph, assisted by a tailwind. Who knows what exactly happened, but likely a touch of the wheels near the front of the 100 rider field resulted in nearly half the field going down. Those of us not racing had jumped in the van as soon as the field left to get to the feed zone, and it wasn’t long before we came upon the scene: the road was completely blocked with riders, some finally starting to mount a chase after a long gone peloton, others wandering around dazed, and quite a few still laying on the ground. Two broken collar bones, several destroyed carbon bikes, a broken carbon fork that had impaled one rider’s forearm, and a rider going into shock with injuries yet determined. Two ambulances and a fire truck on scene, traffic backed up for a mile in either direction. Seventeen riders abandoned on the scene, including our Michael Robinson who hit the deck too hard to continue with possible wrist and hip fractures. Our protected riders, Davis and Capobianco also hit the deck hard, needing mechanical assistance including new wheels. Davis would later need several stitches post-race. Both continued and found themselves in a 10-rider chase group that did a TTT for nearly 25 miles before finally regaining contact with the main field. The crash was particularly damaging to our chances as our key riders had to burn many matches to regain. MIT was a bit more fortunate with five of their riders escaping the crash unscathed, although I think one had to abandon. Cumberland had Sullivan back with our guys in the chase, so both of our teams suggested to the peloton that it would be fair to give those riders who could continue a chance to regain contact. After all, the crash had affected nearly every team and there were still 80 miles to race. We didn’t want this incident to be the deciding factor of the race when the big climb at the end would certainly sort things out evenly enough. Yet one team in particular decided that it was an opportune time to attack and attack again. All of their riders had made the front group. Racing is racing, and part of racing strategy is taking advantage of whatever weaknesses you can exploit. But there are unspoken rules concerning fair play and sportsmanship. You don’t attack someone’s crash or misfortune, but then it’s often difficult to assess the context in a rapidly changing situation so we must give the attackers the benefit of the doubt. Eventually, the field agreed to let one go off solo and not chase him, which ended up creating a scenario that just burnt the attacking rider and also allowed for the chase group to catch since the field wasn’t concerned about one rider going the distance alone. The D2 road nationals podium. Congrats to MIT for winning. Super proud of the SECCC for having three teams on the podium. With Davis and Capobianco back in the main group, as well as Sullivan from Cumberland, the race proceeded to focus on the final climb. In the interim, Davis had the additional misfortune to have rear flat tire, punctured by an open safety pin that he must have picked up in a subsequent pass through the big crash site. He got a spare and chased alone like a demon. I think he truly discovered what he could actually muster from his entire body, mind, and spirit. It was an amazing effort to regain the field, and that chase showed what he’s truly capable of, and I think it surprised him. The effort did of course take it’s toll, and Davis didn’t have the legs to contest the final climb with the leaders after having to spend more than a third of the race chasing to regain the front group. Capobianco rode to his finest result ever to finish 20th, an excellent result for a freshman who burnt many matches regaining contact after the big crash. Scherf would come in next, losing his individual omnium chances but still securing a spot on the final podium. The MIT men rode a great race, finishing four men in 18-25th place and securing the team omnium title for their team. Congrats to them; they deserved it. Mars Hill wins the overall omnium for 2011-2012. Our major goal of the year. Many others not pictured played important roles. Again, this was Mars Hill’s best nationals performance to date. No regrets here at all. 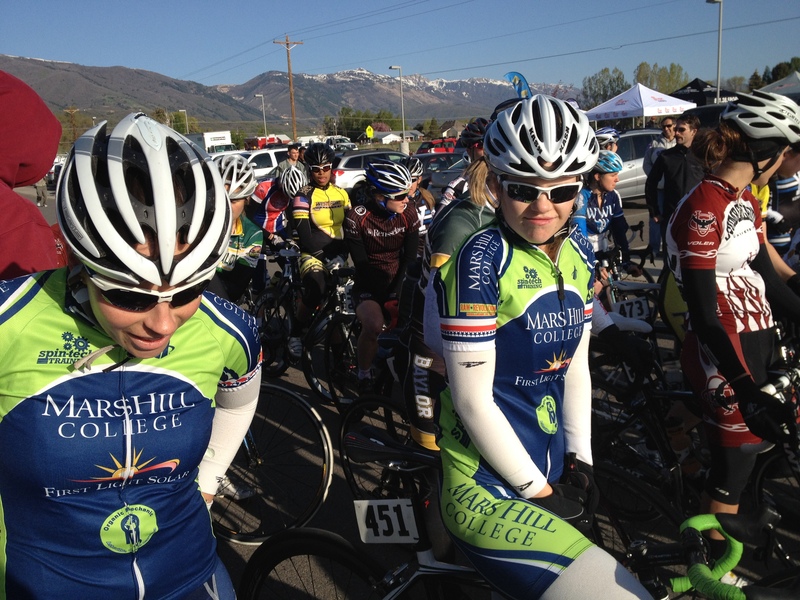 The team rode with smarts, passion, heart, and unending effort. Can’t ask for more than that. The crashes and incidents are a part of bike racing, and it was our turn to deal with them. Losing the team omnium to MIT doesn’t sting at all. Besides being excellent racers, they are good people and their team leader, Katie Quinn, made a point to find our team van to check in on our riders and to make sure we were all okay. That is the mark of a deserving champion. 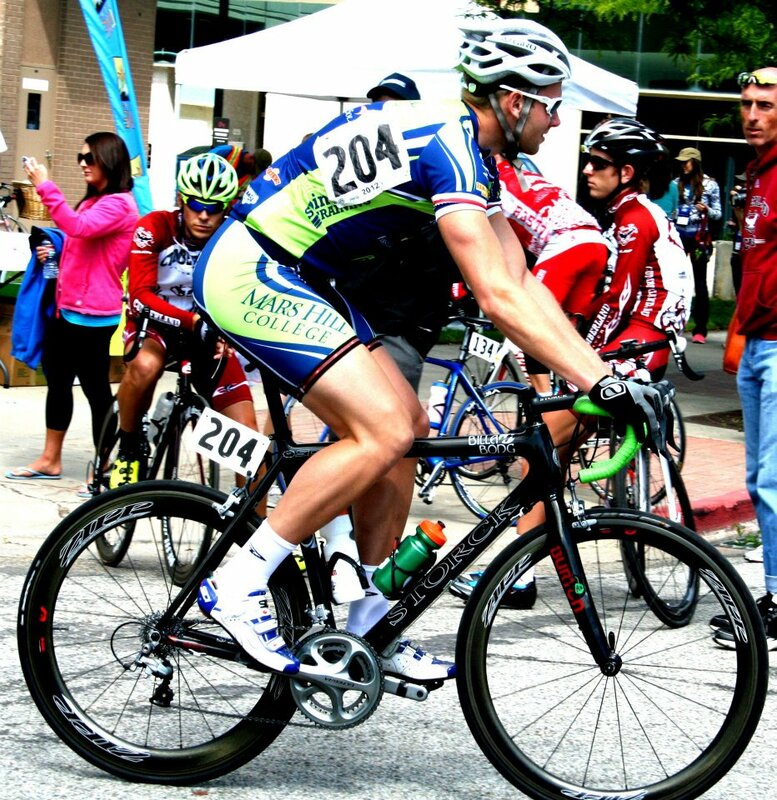 Mars Hill, however, did win the year-long omnium championship that takes into account the points earned throughout the season at track, mountain, cross, and road nationals. 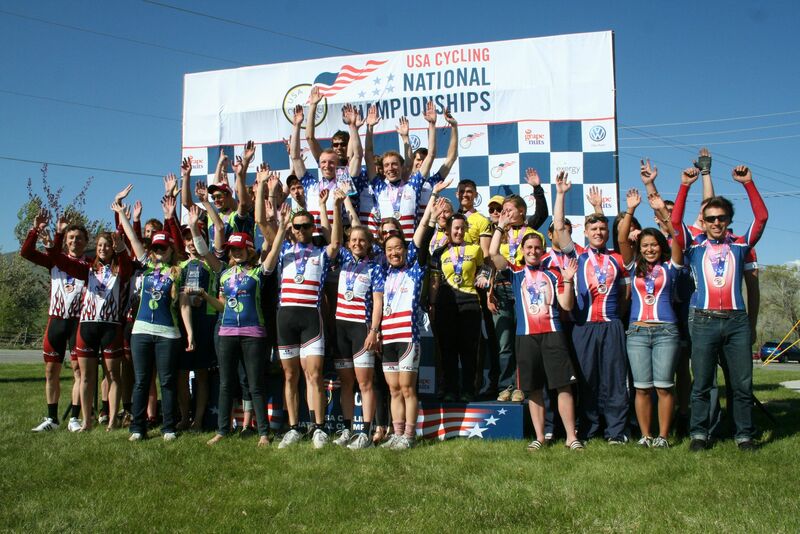 This year, USA Cycling presented a big trophy to the teams who proved strongest throughout the entire year. We won in D2, and Fort Lewis College won in D1.